Russian start-up freighter airline Erofey has launched operations using the commercial brand of E-Cargo. Utilising a fleet of Boeing 757-200F freighters the airline plans to “work in partnership” with established cargo market players, not compete with them, the airline’s owner Andrey Chuprov revealed to Russian Aviation Insider. 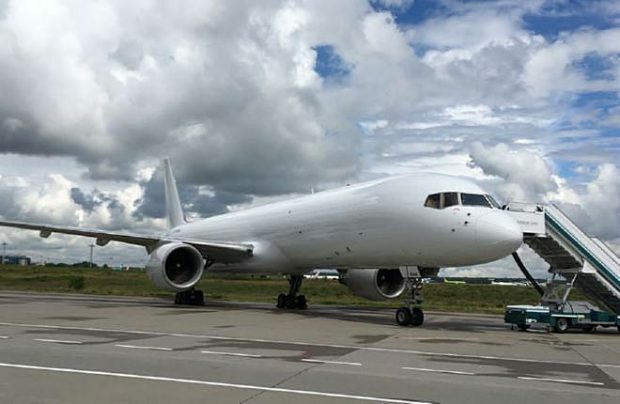 An E-Cargo Boeing 757-200F made its first commercial flight on July 24, carrying a payload from Moscow’s Domodedovo to Pevek on Russia’s Chukotka Peninsula. Five days before, the airline had received its Air Operator’s Certificate (AOC), which lists Moscow’s Vnukovo as its base airport. The new supplemental cargo airline is headed by general director Alexey Gusev, who previously worked for aircraft engineering and certification services provider Airways Technics, a business also owned by Chuprov. Launching such a start-up is a rare occurrence and is especially challenging in Russia these days, after a number of bankruptcies (due to financial insolvencies) which saw, most recently, last year’s demise of VIM Airlines. This trend led Russia’s aviation authority Rosaviatsiya to tighten the financial regulations under which air carriers can exist, making it much more difficult for new airlines to enter the market. Despite the stricter regime Erofey, which is financed solely by Chuprov himself, managed to successfully convince the authorities of the airline’s solid financial standing, Chuprov insists. “Initially we did not even dream of creating an airline, of course,” he points out. Andrey Chuprov has declined to reveal the actual costs of launching a start-up freighter airline, other than to admit it was an “expensive” exercise. “I won’t scare anyone away with costs, because they are relative,” he argues. So far, Erofey Airlines has only one Boeing 757-200F in its fleet. The passenger-to-freighter conversion was built in 1991, with serial number 25368, and is currently registered as VP-BHM. In its previous life the aircraft was a United Airlines passenger airliner. “We leased the aircraft straight after it was converted [to cargo],” Chuprov reveals. According to the plan, the aim is to grow the fleet to five Boeing 757-200Fs, all of which are already identified, with the second of the type expected to join before the end of this year. The market has already positively accepted the new airline, Chuprov asserts. Some of the largest players, such as Volga-Dnepr, even consulted the start-up on its business strategy. “We hope that we’ll have a sufficient market for our Boeing 757-200Fs and their capabilities. We anticipate partnerships with the leading market players and we offer cooperation [with them]. The more freighter aircraft there are in Russia, the better for market volumes,” he concludes. Erofey is the second cargo airline project to be launched in Russia in the last 20 months. Sky Gates Airlines, another recent start-up, received its AOC in September 2016 and began B747F operations in October of that year.